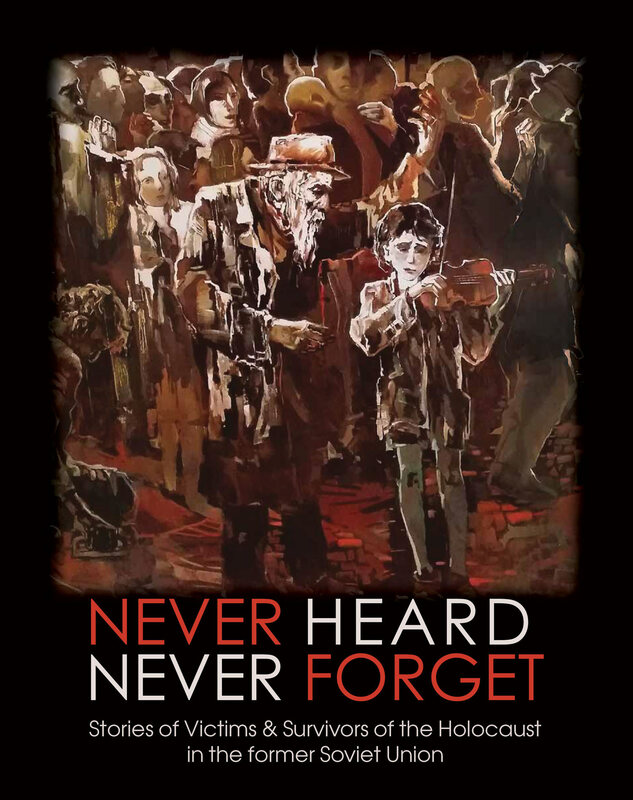 Never Heard Never Forget commemorates victims and survivors of the Holocaust in Nazi-occupied territories of the former Soviet Union. Chicago-area Holocaust survivors and volunteers collected and wrote these compelling personal and family histories in Russian and English. This book is beautifully designed, featuring powerful survivor artwork, touching family photos and historic documents throughout. Proceeds from its sale will go to the Illinois Holocaust Museum and Education Center, Holocaust community Services at CJE SeniorLife and Reklama Media Group. You may order a book at: https://illinois-holocaust-museum.myshopify.com/collections/books/products/never-heard-never-forget . Or purchase the book by visiting or calling: ILHMEC Legacy Shop at 9603 Woods Drive, Skokie, IL 60077, 847.967.4800. Read more about the book through CJE's LIFE Magazine Winter 2017-18 article.